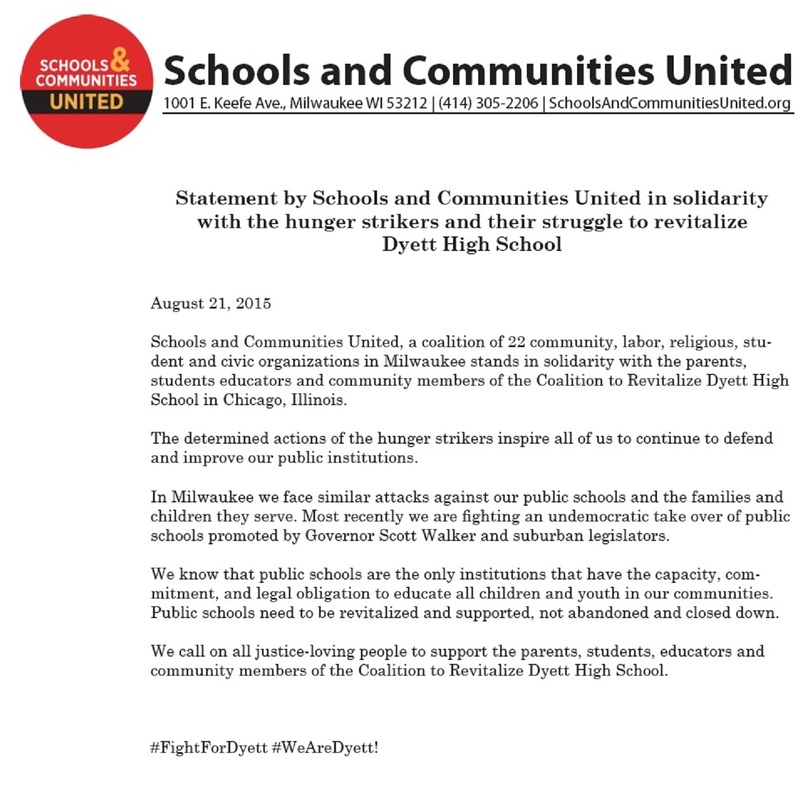 Teachers For Social Justice: Solidarity Statements for Dyett Hunger Strikers! Solidarity Statements for Dyett Hunger Strikers! We first met many years ago when you were State Senator Emil Jones’s education aide. Many of us in the Chicago school reform community were impressed with you then, and felt that you understood what we cared about – that is, a strong parent and community voice in school governance, and strong public schools. We found you to be approachable, smart, and helpful – one of the good guys. I was pleased when you decided to run for office and was happy to vote for you to be my state representative and my alderman. We’ve had a very cordial relationship for many years. 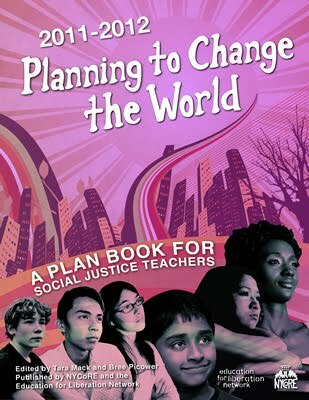 In 2013, the year after the school district voted to phase out Dyett, I wrote a blog post (http://pureparents.org/?p=20323) on the web site for PURE, a group I directed until my move out of state last year. The blog praised you and other aldermen for signing on to a resolution calling for a moratorium on charter school expansion. That 2013 resolution included the point that expansion of charter schools was undermining neighborhood school enrollment, and that traditional schools should not be closed for budgetary reasons while new charter schools were being opened. 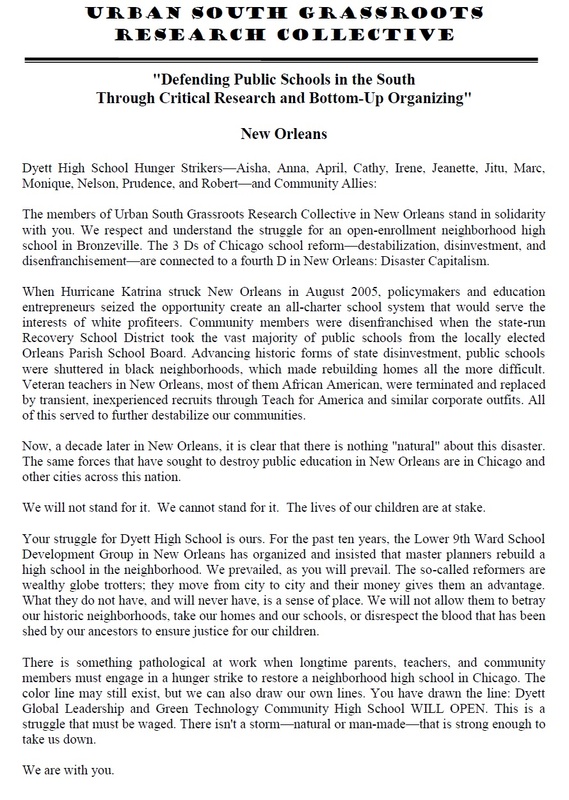 Considering this history, it is especially disappointing now to hear about your rejection of what many educators and others consider a very strong community proposal to revitalize Dyett High School, and your argument that Jitu Brown and the Kenwood Oakland Community Organization (KOCO) are staging a hunger strike for Dyett merely to gain power and money. Most of us who toil in the trenches of community organizing and parent advocacy would find this argument hysterically funny if we had time to laugh. Compare, for example, the most recent reported salary of KOCO’s executive director –$63,000 — with that of, say, Robin Steans, executive director of the charter school-promoting corporate reform group Advance Illinois. Robin already has vast family wealth, and she still pulled down an annual salary of $178,000 in 2013. My point here is not to gratuitously poke at Robin, who has been a friend in the past, but to highlight what should be obvious — that wealthy, powerful people in this country have more handed to them on a plate than low-income, marginalized people could ever dream of. They need groups like KOCO to help raise their voices and concerns to policy makers. As PURE’s executive director from 1995-2014, I had a front row seat to KOCO’s outstanding work supporting public education, and have been pleased to see KOCO’s Jitu Brown become one of the nation’s most charismatic and courageous leaders in the fight to save democratic public education and to demand high-quality schools for all children. Their challenges to you over the years have arisen from what I believe is a reasonable analysis that there is a disconnect between your actions and the critical needs of some of your constituents. KOCO’s decision to sponsor a hunger strike is a reflection of their extreme frustration with you and other education policy makers. The fact that several members of your community have been willing to put their lives on the line to join them, and that others are actively supporting them, suggests that many share this frustration. I write to you now out of grave concern for my friends who are becoming ill after 30 days of this hunger strike, and for all of those children who need the adults around them to be the best leaders possible. I urge you to step back from past perceived grievances and take the first step to open up a sincere, meaningful dialogue with these members of your community who deserve your attention. We are all supporters of the Dyett Global Leadership and Green Technology High School, and see both the proposal and the process as models for true investment in high quality public schools. We applaud the hunger strikers and the people that have come out to support them and we are heartened by your decision to re-open Dyett as an open-enrollment school. and an elected and fully empowered Local School Council. After all, it is the vision and tenacity of the African American community of Bronzeville that has led to the reopening of Dyett. A school that prepares our children to tackle the immediate problems of today simply makes sense. Green, sustainable, renewable energy sources make sense. It is one of the fastest growing industries in the world. Dyett sits in the historic Washington Park with a fishing pond, natural grasses, and a successful student-run farm. It will be a national model with your support. Please take this next step and honor the hard work of community members, educators and organizations that went into the development of the original proposal which, if implemented with fidelity, will indeed provide a world class education to the young people of Bronzeville. Highly regarded education researchers and practitioners have stated the same. Please do what is right and please do it now. For over two years, the Chicago Religious Leadership Network on Latin America (CRLN) has been one of the organizations that coordinates a pastoral care program for unaccompanied children arriving at our borders in search of safety and refuge. Many of the children that we meet are undoubtedly among the most vulnerable children on the planet, escaping unimaginable violence and poverty. Just as we have committed to stand by them and to fight for the protection of their basic rights, today we express our full support and solidarity with the community leaders at Dyett who have been on hunger strike for more than two weeks now to save Dyett High School, Bronzeville’s last publicly-operated, open-enrollment, school from closing. In Latin America, violence takes many shapes; sometimes violence manifests itself through violent crimes and actions that are carried out with near impunity, often by government officials themselves. Sometimes it can take on subtler forms: deprivation of economic opportunity, quality education, healthcare coverage, and of other factors which are so essential to the ability of individuals to lead dignified human lives. We interpret the closing of public schools, primarily in Black and Brown communities throughout Chicago, in the same way that we understand schemes of privatization and dispossession in Latin America: as an act of violence against communities of color. As immigrants, the sons and daughters of immigrants, volunteers with the unaccompanied children, and people of faith committed to immigrant justice and justice in Latin America, we are humbled by the valiant actions of the Dyett 12 whose fast is reminiscent of the causes of justice described in the Bible. transform Dyett into a gem community school worthy of national attention. students to ensure all students have full access to these educational opportunities. graduate could one day become an Elevate intern or employee. BREAKING: NATIONAL UNION OF TEACHERS NATIONAL (NUT) Support Dyett Hunger Strikers! I am writing to express my solidarity with your struggle to defend your school and your community, in opposition to the corporate-backed plans to cut and privatise education. Colleagues on the NUT National Executive have been following the ongoing battles of the CTU and Chicago parents and students against school closures and the imposition of charter schools. The news that Dyett parents have been forced to mount a hunger-strike in order for their voices to be heard shows both the callousness of the Chicago Board of Education but also your determination to fight for the future of your communities and your youth. Teachers, parents and students here in London face a similar struggle against local and national politicians who also want to impose the privatising policies backed internationally by the ‘Global Education Reform Movement’. Globally, we have to stand together against the GERM. In my borough of Lewisham, ‘SAIL’ - ‘Stop Academies in Lewisham’ - has, so far successfully, built a campaign of teacher strikes, pupil protests and community demonstrations to oppose attempts to turn our community schools into ‘academies’ – our equivalent of ‘charter schools’. Like you, we are determined to win our battle. On behalf of SAIL colleagues and as an NUT National Executive member, please accept this message of solidarity as we add our voices to all those calling out to #FightForDyett. 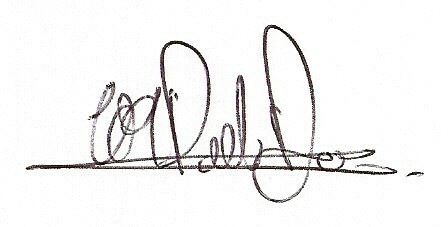 Member of the National Executive of the National Union of Teachers, London, U.K. BREAKING: Presidents of AERA support plan for Dyett Global Leadership and Green Technology High School and community process. AERA (American Education Research Association) is the main professional education research organization in the U.S. with more than 25,000 members. Prof. Jeannie Oakes and Prof. Gloria Ladson-Billings are among the most well-respected education scholars in the U.S. I am writing to support the Coalition to Revitalize Dyett High School and the plan to create an open-enrollment, community school with a global leadership and green technology theme. This school would serve Chicago’s Bronzeville community. One of the cornerstones of a democratic society is the ability to actively participate and decide our one’s own destiny in ways that enhance “life, liberty, and the pursuit of happiness.” For the average citizen the place where s/he has the opportunity to engage in democratic activity is in the neighborhood and community and the institution closest to the community is the school. In democratic societies this means citizens have a real say so in electing school board members, vetting administrators, and voicing their preferences for curricular and instructional approaches. 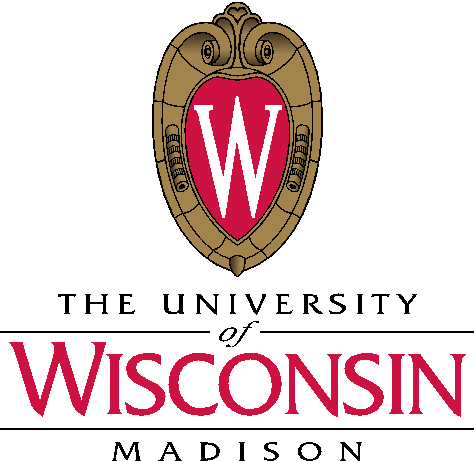 I am currently the Kellner Family Chair in Urban Education at the University of Wisconsin-Madison, some 135 miles northwest of Chicago. For the past 24 years I have been active in Chicago school reform, consulting on the Annenberg Challenge, working with colleagues at the Consortium for Chicago School Reform, and meeting with individual administrators and groups of teachers throughout the city. But, more than a professor and researcher I have an extensive career as a public school teacher in the School District of Philadelphia. I am well acquainted with the challenges many urban districts are facing and realize those districts would delight in the kind of engagement and forward thinking that is reflected in the Coalition to Revitalize Dyett High School represents. By comparison, community members and alumni at Milwaukee’s North Division High School have done little to create a comprehensive plan for revitalization focused on achievement, community engagement, and cultural relevance. One of the nation’s founders, Thomas Jefferson stated, “If a nation expects to be ignorant and free, in a state of civilization, it expects what never was and never will be.” The Coalition has made clear its desire to help build educated, community-minded, active citizens who contribute to the lifeblood of Chicago. This plan is designed not have students “escape” poverty, violence, and the scourge of drugs but rather to have students be citizens that “END” poverty, violence, and the scourge of drugs. The willingness to fight for one’s school is a part of an ongoing legacy in the African American community. Communities that engage in this work are likely to stay engaged which bodes well for the students, faculty, staff, and administrators who would make Dyett High School their home. Again, I strongly urge decision makers to take advantage of this civic engagement and energy, adopt the Coalition’s plan, and create an ideal school environment for this community. 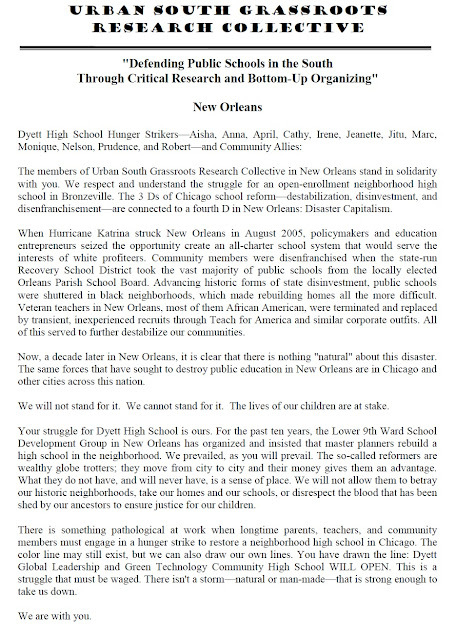 I write to offer my strong support for the Coalition to Revitalize Dyett High School and its plan to transform Dyett High School into a sustainable open-enrollment, community school with a global leadership and green technology theme serving the Bronzeville communities in the city of Chicago. I understand that the Coalition has submitted its plan to the Chicago Public Schools in response to Request for Proposals for creating a new Dyett High School. I have reviewed the plan in light of my decades of experience as an education researcher by training and profession. As a UCLA Professor, I have spent years studying efforts to create high-quality and equitable schools for young people living in communities like Dyett’s—communities of concentrated poverty and racial isolation. 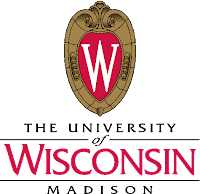 I currently serve as President of the American Educational Research Association, an organization of more than 25,000 education researchers. Based on my experience and expertise, I find the Coalition’s plan to be outstanding. Let me point to just a few of the remarkably strong elements of the plan. First, the Coalition, including the Chicago Botanic Garden, DuSable Museum, the University of Illinois, Chicago, the Chicago Teachers Union, Teachers for Social Justice, and the Kenwood Oakland Community Organization, is a perfect example of community involvement and investment. Its plan taps into these impressive, high-capacity community partners to create an academically rich curriculum focused on helping the young people in the neighborhood achieve and succeed. The plan is also grounded in the strongest evidence we have about programs and practices most likely to increase the achievement and success (e.g., graduation rates, post-high school benefits) of the community’s young people. • links between the success of the school and the development of the community as a whole. The Coalition’s plan clearly has benefitted from several years of research, planning, organizing, and building community will. As such, it stands a good chance of succeeding, even under the very challenging circumstances that urban high schools face today. In sum, my professional view is that the Coalition plan is excellent and should be chosen in response to CPS’ RFP for Dyett. Parents and community members worked for years developing a solid set of ideas. In response to the RFP, they followed all of the district’s procedures and produced an impressive 50-page blueprint for turning their ideas into sound, evidence-based program and practices. It is unconscionable that parents and community members have spent almost two weeks in a hunger strike in an effort to get the CPS board to vote on their plan. I understand that the mayor's office also has proposals in hand from charter operators eager to take over the school, and these may be groups that have more political influence than the Coalition. Nevertheless, it would be indefensible to select one of these proposals over the fine community-based option of the Coalition plan, particularly given the lack of evidence nationwide that the charter strategy would benefit the young people of Bronzeville. If great cities like Chicago are to reclaim the promise of public education for all children, they must turn away from failed experiments that remove community control and instead bring communities together to create schools that deliver the quality education for college, career and civic life that all our children deserve. There is no better place to start than with the Coalition’s plan for Dyett High School. BREAKING: College Faculty Support Coalition Plan To Revitalize Dyett H.S. COLLEGE FACULTY SUPPORT COALITION PLAN TO REVITALIZE DYETT H.S. We urge Mayor Emanuel, CPS Board of Education President Clark, and CEO Claypool to immediately approve the Coalition to Revitalize Dyett proposal for the Dyett High School of Global Leadership and Green Technology. On August 17, 2015, twelve parents, grandparents, and supporters began a hunger strike to press CPS to implement this plan for a public open enrollment neighborhood school in Bronzeville. Reverend Jesse Jackson and CTU Vice President Jesse Sharkey have joined the hunger strike. Since CPS voted in 2012 to phase out Dyett—the last open-enrollment high school in Bronzeville—hundreds of parents and community residents have done everything possible, including following the procedures set forth by CPS, to petition CPS to implement the Coalition plan to revitalize Dyett High School which closed in Spring 2015. African American children in Bronzeville deserve the same high quality education available to children in other areas of the city. The plan for Dyett High School of Global Leadership and Green Technology is based on solid education research and was developed through extensive community engagement over five years in collaboration with education experts. The high school will be well-rounded, academically rigorous, culturally relevant, inquiry-based, grounded in the Bronzeville community and enriched by involvement of an impressive coalition of green technology, urban agriculture, and community organizations and university partners. It will be a school that any parent in Chicago would want to send their child to. The process of community involvement and the proposal for the school should be a model for revitalizing neighborhood public schools in Chicago. As educators, who understand that democratic community participation in local public schools is a vital component of school success, we support the coalition plan to revitalize Dyett High School and strongly urge the CPS Board of Education to support their efforts as well. CHICAGO—(ENEWSPF)—August 30, 2015. Black Youth Project 100 (BYP100) stands in support of the Coalition to Revitalize Dyett, a group of outraged community members, teachers and parents who have been on hunger strike for education justice since August 17th. The hunger strike is in response to Chicago Public Schools' failure to adopt their plan to create Dyett Global Leadership Green Technology High School. Strikers have said they will keep demonstrating until this plan - and this plan only - is adopted by the Board of Education. Dyett, which is currently shuttered, is the only remaining open-enrollment high school in Bronzeville, which is both majority and historically Black. The board's failure not only immediately endangers the lives of the twelve hunger strikers, but points to the city's consistent disregard for Black life in general, and the wellness of Black children in particular. On August 20th, BYP100, the Dyett hunger strikers, and other organizers and concerned citizens rallied at Chicago Police Headquarters. We packed the Chicago Police Board hearing and outer pavilion to demand that Officer Dante Servin be fired for the murder of Rekia Boyd in 2012. As the hearing went on inside, Dyett protesters took the mic to speak about their cause, noting that anti-Black police violence, school closings, underfunding in majority Black communities, and a complete lack of accountability for the perpetrators of these destructive acts are interrelated issues. It is necessary that we work from every angle to dismantle the systematic harms that have been inflicted upon us. “The violence being done to Black communities and families by closing our schools is just another form of killing, just another marker of Black life being devalued by this City.”, says Janae Bonsu, BYP100 Chicago Chapter Co-Chair. While addressing the crowd outside CPD Headquarters on the 20th, Jitu Brown spoke on behalf of the Dyett hunger strikers: "We look at our children and see love; they look and see inmates." With that, Brown speaks to how the struggle for Dyett goes beyond just the school’s walls. The Dyett campaign represents the lack of opportunities, jobs, police accountability and overall lack of rights in Black communities. That’s what makes this moment extremely urgent amidst police killings and the #BlackLivesMatter movement. We have to prove that our lives actually matter and can do so by showing that education in black communities is actually valued and protected. It is with love for our children and commitment to their well-being in spite of the continued assault on their—and thus our—futures that BYP100 stands in solidarity with the Dyett hunger strikers. 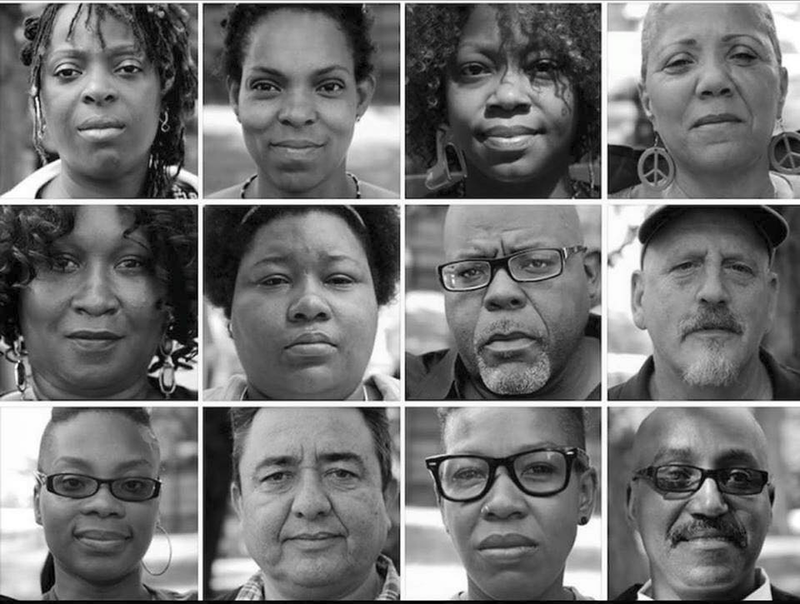 For more information regarding the #FightForDyett campaign click here. Rethinking Schools expresses solidarity with the 12 parents, grandparents, educators, and their supporters who are in the second week of a hunger strike for the Dyett High School of Global Leadership and Green Technology, an open enrollment public high school in Chicago’s historic African American Bronzeville neighborhood. Visit the Teachers for Social Justice website for updates and images. Advocate for media coverage, op-eds, send to bloggers for posting, etc. Use your webpages and education contacts, coalitions to organize solidarity actions/messages, etc. Today is the ninth day of the Dyett hunger strike, and grandmother Irene Robinson is now in Provident Hospital. Ms. Robinson is just one of the dozen parents, grandparents, teachers, and community members who have put their bodies on the line to #FightForDyett--a successful community school in Bronzeville that over the years was disinvested in and targeted for closure by Chicago Public Schools until it was phased out. The school now sits shuttered. The continued assault on high quality public education in Black communities is another form of violence against Black youth in Chicago.Like arbitrary and invasive stops and frisks on Chicago streets—the same streets on which these schools are being closed—educational inequities serve as a reminder that young Black people are not valued by the City of Chicago. It also sends the message that Black neighborhoods do not deserve development opportunities as other neighborhoods, even while they are heavily policed. It is deeply powerful that the Dyett hunger strike, led primarily by Black women, is happening during Black August, a month of study and action that often includes fasting in solidarity with political prisoners and Black people killed by state violence. Dyett’s slated closure is part of Mayor Rahm Emanuel and his appointed CPS Board’s ongoing effort to undermine high quality public education, community schools, and the Chicago Teachers Union. This was most dramatically displayed by the 2012 teachers’ strike and the 2013 closure of 50 neighborhood schools serving mostly Black students and employing mostly Black teachers and staff. The mayor’s undermining of public schools and preference for privatization and wresting school decisions away from communities of color is racist educational policy meant to reshape Chicago for the wealthy and the white. The neglect and punishment of youth through inadequate educational access in Black neighborhoods is all part of a slow genocide of our communities. We Charge Genocide recognizes that abolishing systems of oppression, including prisons and police, also requires continued investment in strong community institutions — including strong neighborhood community schools. We rise in solidarity with the community leaders at Dyett, and urge you to join us in supporting them however you are able. The Coalition to Revitalize Dyett High School helped develop a proposal for a Global Leadership and Green Technology High School that we would love to see in action. Dyett has hosted successful community-run initiatives before, including when it was a leader in Restorative Justice, decreasing student arrests by 83% in one year. Restorative justice in schools is an essential part of dismantling the school-to-prison pipeline and building the world without police that we long to see. The twelve Dyett Hunger Strikers (from top left): Dr. Aisha Wade-Bey, Anna Jones, April Stogner, Cathy Dale, Irene Robinson, Jeanette Taylor-Ramann, Jitu Brown, Marc Kaplan, Dr. Monique Redeaux-Smith, Nelson Soza, Prudence Browne, and Rev. Robert Jones. Photos by Phillip Cantor. Call Mayor Emanuel at (312) 744-3300,Alderman Will Burns at (773) 536-8103, andCPS CEO Forrest Claypool at (773) 553-1500 and tell them that you support the Dyett hunger strikers and demand that they meet with them and support the community’s wishes for the Dyett Global Leadership & Green Technology HS. Along with political education and demonstration, Black August is traditionally a time for fasting and sacrifice in solidarity. Pleasevisit the Dyett hunger strikers and consider joining them in solidarity fasts—already being participated in by hundreds of individuals around the country today. Search the hashtags #FightForDyett and#WeAreDyett, and spread news of the hunger strike far and wide. Talk to your family, friends, and neighbors about the connections between strong community-run schools and all forms of state violence against Black people. esta gran lucha que como comunidad están dando en la ciudad de Chicago. desidia de las autoridades políticas de la ciudad de Chicago. sangrienta dictadura en Chile y fueron absurdamente mantenidas por los gobiernos siguientes. conocer los acontecimientos que los aquejan en Latinoamérica. unconditionally support the cause to stop the painful closing of your school. Brothers and sisters, we write in behalf of the Teachers Federation in Puerto Rico to express our deepest solidarity and sympathies. 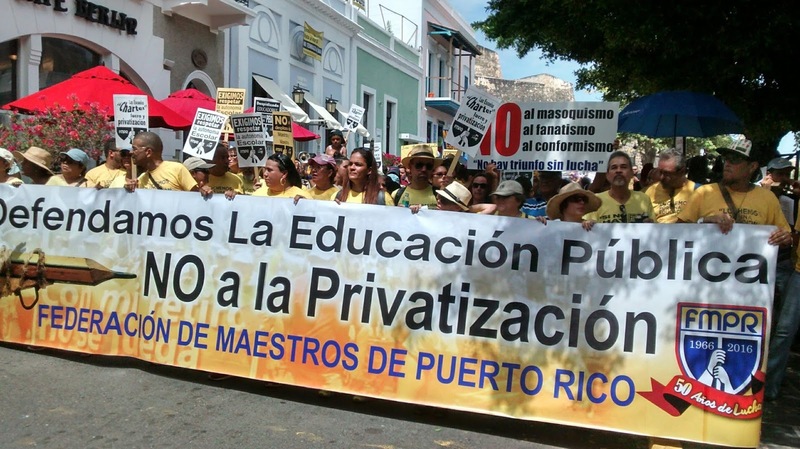 The struggle against the corporate reform on education is the same one across the globe. The rich and wealthy want to deprive poor and marginalized communities of their constitutional right to public education. 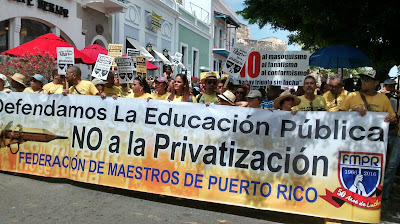 Currently we have an organized community in Puerto Rico from the Elementary José Meléndez Ayala School in Manatí that has been occupying their school for the past 85 days, in order to avoid its closure. Their speaker, is a mother of three, cancer survivor, college student named Tania Ginés. She sends you all her support and solidarity as well. Our government proposes to shut down 600 schools in response to their neoliberal scheme against public education. Teachers are been threatened to lose their jobs and labor rights. All part of a dominant class plan to enrich themselves and fulfill their private interests. The 1% that control the wealth, want to control our lives and lead us to precarious life conditions. NO MORE! Communities are taking a stand against this. These corporate moguls want to leave our children uneducated, because they know that an educated population is a threat to those vicious corporate reformers with greed to fill their pockets at the cost of depriving students of their right to educate themselves. 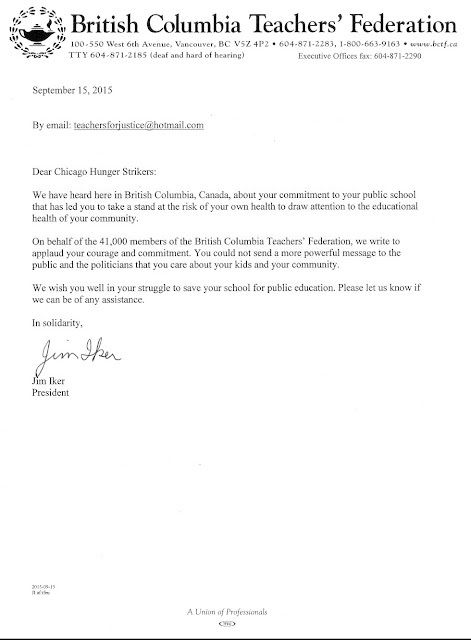 Your heroic action to starve yourselves in defense of public education is admirable. It's sad that those that have leading positions on school boards and in administrative position the DOE do not take into count the necessities of the school communities. Count with our support! On behalf of more than 4,000 educators in the Portland Association of Teachers, I’m writing to express our support for the parents, grandparents, and community members fighting to keep Dyett High School open. It’s shameful that a dozen parents, grandparents, and community members have been forced to launch a hunger strike to draw attention to the plight of one of the last public schools in Chicago’s historic African American Bronzeville community. This closure is another example of what our brothers and sisters in the Chicago Teachers Union have labeled “educational apartheid.” Chicago’s African American and Latino neighborhoods are not a laboratory for education reform “experiments” —they deserve first rate public schools, not successive waves of school closings. We urge the School Board to remember that public schools belong to the public. They are not the property of elected officials or hand-picked appointees such as themselves. As such they have a responsibility to listen to the public and keep neighborhood schools like Dyett High School open. As educators and union members, committed to social justice, we will do whatever we can to support the hunger strikers, and their fight for quality public schools for all Chicago students. We write to you, on this the 7th day of our hunger strike, to express our solidarity with you as we fight this corporate enemy to education. As we starve ourselves in symbolism of the way our communities have been starved of resources in order to feed the banks and private interests, we know that you, too, are with us in this struggle. Our spirit is with you and we gain energy from your strength and hope you gain strength from us as well. We will not allow these predators to continually prey upon our young. We will not continually allow these colonizers to build their dreams and the dreams of their children on our backs and on the backs of our children. We stand in solidarity with you as we seek to take back the education of our children from the hands of these so-called corporate “reformers” who have deformed education for Black and Brown children across the globe. We stand with you in the fight to transform education from a culture of compliance to a culture where our young people are taught to question and challenge the status quo. We stand with you, arm and arm, on this battlefield dependent on your support and on the support of our brothers and sisters around the world to defeat this enemy. Keep up the fine fight! Nos dirigimos a ustedes, en este el 7 º día de la huelga de hambre, para expresar nuestra solidaridad con ustedes ya que luchamos contra este enemigo corporativo a la educación. Como nos privamos de comida en simbolismo de la forma en que nuestras comunidades han sido carentes de recursos con el fin de alimentar a los bancos y los intereses privados, sabemos que ustedes, también, están con nosotros en esta lucha. Nuestro espíritu está con ustedes y obtenemos energía de sus fuerzas y con la esperanza que ustedes obtengan fuerza de nosotros también. No permitiremos que estos depredadores se alimenten continuamente de nuestros jóvenes. No vamos a permitir que estos colonizadores continuamente construyan sus sueños y los sueños de sus niños en nuestras espaldas y en las espaldas de nuestros hijos. Estamos en solidaridad con usted mientras buscamos retomar la educación de nuestros niños de las manos de estos llamados "reformistas" corporativas que han deformado la educación para los niños de color, negros y marrón en todo el mundo. Estamos con ustedes en la lucha por transformar la educación de una cultura de respeto a la cultura donde nuestros jóvenes se les enseña a cuestionar y desafiar el status quo. Estamos con ustedes, en brazo y brazo, en este campo de batalla dependiendo de su apoyo y con el apoyo de nuestros hermanos y nuestras hermanas alrededor del mundo para derrotar a este enemigo.